Charles Edward Hodges (1866–1943) started work as a draftsman for Charles Coolidge whose firm designed numerous buildings at Stanford including the Memorial Arch at the entrance to the campus and the Memorial Church. 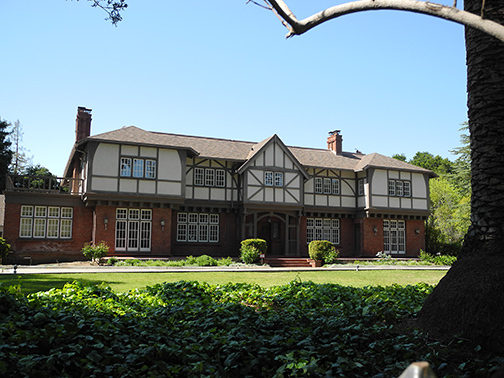 When Coolidge left Stanford, Hodges became Stanford’s resident architect and took over supervising construction of the projects. Hodges participated in the design the Stanford Gymnasium and revised the plans for the 100 foot tall Memorial Arch, both of which were badly damaged by the 1906 earthquake. 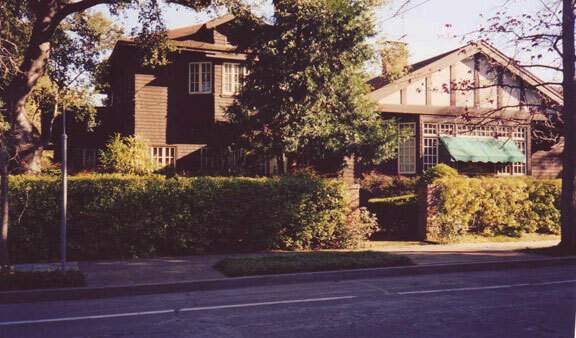 As a result of criticism implying that the architect was at fault, Hodges resigned from Stanford. 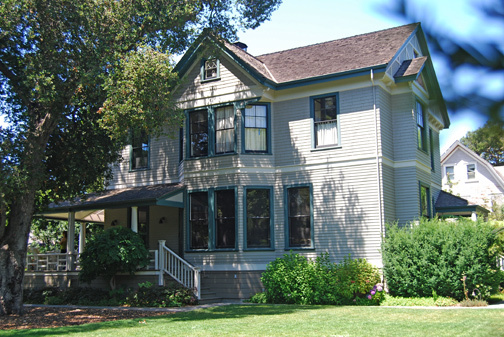 The Griffin–Drell house, built on the Stanford Campus in 1893, was the 12th house on faculty row. 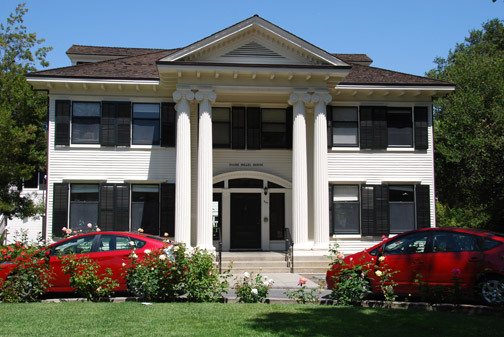 Although it has been moved from it’s original site it remains one of the oldest houses on campus. 565 Mayfield, Stanford, built in 1899. 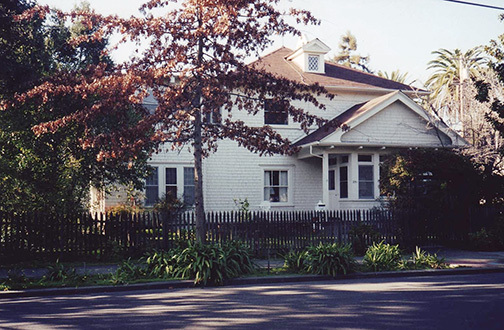 It is interesting to note that this house on Coleridge, built the year before the Woman’s Club was started, has a bay window and half timbering similar to the Woman’s Club seen below. 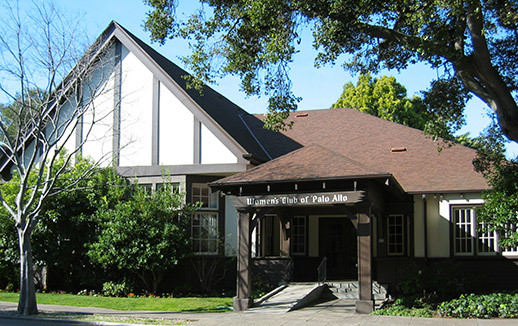 When the Palo Alto Woman’s Club chose architect Charles Edward Hodges to design their new clubhouse at the corner of Cowper Street and Homer Avenue he had already designed numerous sororities, fraternities and residences at Stanford and in Palo Alto. 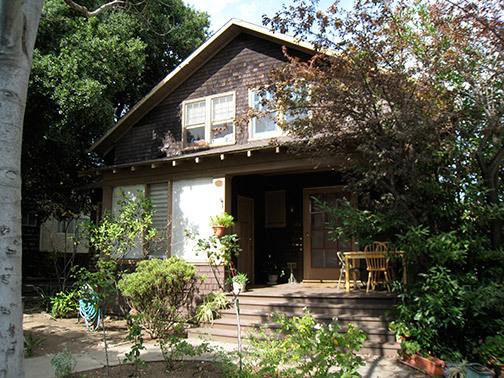 Hodges also designed the house built in 1906 at 469 Homer, which is adjacent to the Club, and in 1910, the house diagonally across the street at 460 Homer. The top photo is the one on the Historic Inventory of 1979 of Cowper sideof 803 while the Homer side is shown on the lower photo. 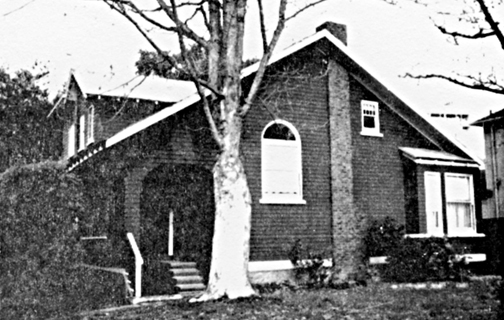 It was built in 1904, 10–12 years before the Woman's Club clubhouse construction started. 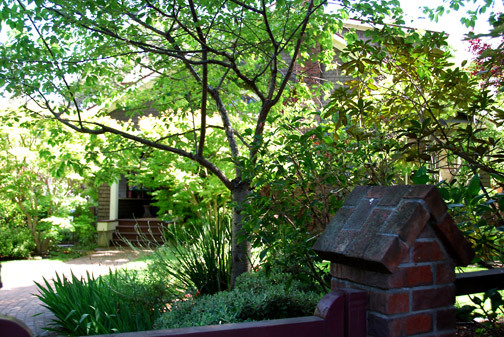 This is the Cowper Street view of 803 Cowper. 251 Lincoln Avenue, c. 1904 Inventory sheet. earned it a PAST Residential Preservation Award. 536 Lincoln Avenue, c. 1897 Inventory sheet. 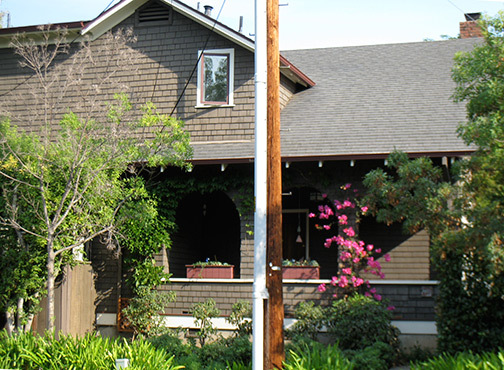 This house was originally located at 1103 Cowper. 1146 Waverley, c. 1893 Inventory sheet. 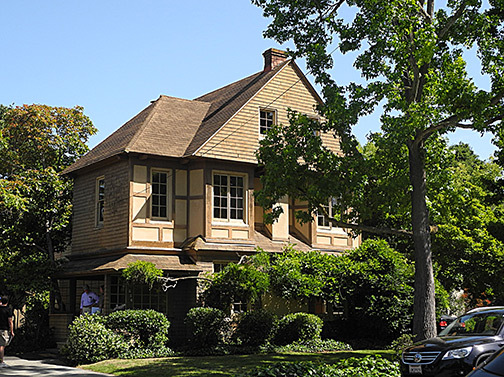 Read more about 1146 Waverley, the Roberts–Smith House. E-mail us at either webmaster@pastheritage.org or president@pastheritage.org. 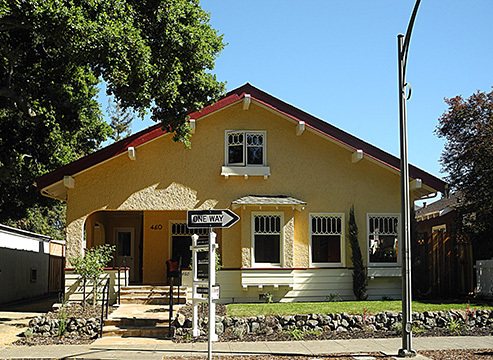 Palo Alto Stanford Heritage—Dedicated to the preservation of Palo Alto's historic buildings. 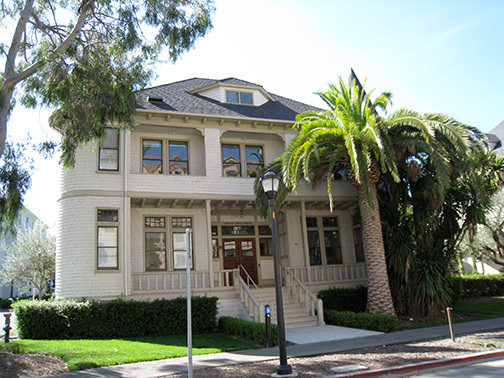 Copyright © 2015-2019 Palo Alto Stanford Heritage. All rights reserved.